BOGO Admission to the WNY Home & Outdoor Living Show at The Fairgrounds in Hamburg! 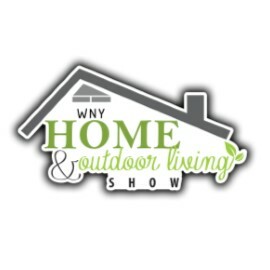 Get a jump on spring with Buy 1, Get 1 Free Admission to the WNY Home & Outdoor Living Show at The Fairgrounds in Hamburg! Are you dreaming of a new home, updating your kitchen, building a deck, a new addition, a redecorating or lawn and garden project? Come talk to the experts and let them help you make your dreams come true. The WNY Home & Outdoor Living Show will make its appearance at The Fairgrounds Event Center in Hamburg, NY on February 21-24, 2019. This event will be an upscale event showcasing exhibitors from all over the area including displays of home improvements, interior decorating, landscaping, new home construction and much more. This Expo will offer to the public informative seminars, interactive exhibits and celebrity appearances to entertain all ages.